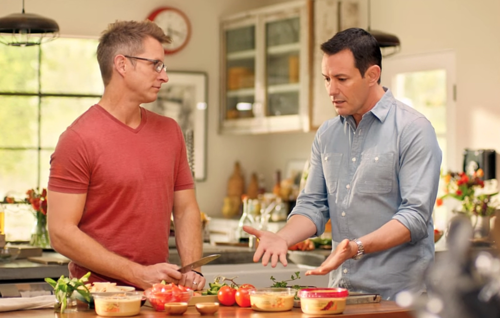 The popular (and delicious) makers of Sabra Hummus feature a gay couple in their recent advertisement. Its so refreshing to see our families in mainstream commercials. Bravo Sabra!